Bert Bolin discussing weather maps in Stockholm circa 1955. Image copyright Tellus B, used via Creative Commons license, see Rodhe paper referenced below. In 1957, at the young age of 32 and just one year after completing his PhD, Bert Bolin officially gained a new skill: leadership. Taking over the International Meteorological Institute (IMI) in Stockholm, Sweden, after his mentor Carl-Gustaf Rossby’s sudden death must have been a huge shock. But Bert gained responsibility after responsibility over the next 40 years, ultimately becoming the first chairman of the United Nations’ Intergovernmental Panel on Climate Change (UN IPCC). And though it’s hard to beat setting up a Nobel-prize winning organisation, Bert was not just an administrator – his research helped build the foundations of climate science too. Growing up in Nyköping, south of Stockholm, Bert recorded the weather with encouragement from a schoolteacher father who had studied meteorology at university. After the pair met the Swedish Meteorological and Hydrological Institute’s deputy director when Bert was 17, he moved north to study maths, physics and meteorology at the University of Uppsala. Immediately after graduating in 1946 he went to Stockholm to do military service, where he first saw Carl-Gustaf giving a series of lectures. By that time Carl-Gustaf had been living in the US for 21 years, pioneering mathematical and physical analysis of the atmosphere, becoming the country’s foremost meteorologist. He had set up meteorology departments at Massachusetts Institute of Technology in the 1930s, and the University of Chicago, Illinois, in the 1940s. He had also modernised the US Weather bureau and by 1946 wanted to help improve meteorology’s status in his native Sweden. As Carl-Gustaf’s renowned organisational prowess gradually pulled together the IMI, Bert came to study with him, gaining his Master’s degree in 1950. Carl-Gustaf was collaborating with leading scientists of his time, and through some of these links Bert spent a year working in the US after his Master’s. Perhaps the most notable such relationship was with John von Neumann at Princeton University in New Jersey, who had helped develop the hydrogen bomb. John and his team had made history using arguably the world’s first computer, ENIAC, to predict weather mathematically. But when errors emerged, Carl-Gustaf asked Bert to help analyse why, using his understanding of the atmosphere to prevent such forecasts being ‘mathematical fantasy’. The BESK computer that Carl-Gustaf and Bert used to make the first ‘numerical’ weather forecasts that were produced quickly enough to be useful. Image copyright Liftarn, used via Wikimedia Commons Creative Commons license. A race began between John’s team and the Swedes to be the first to get such ‘numerical’ weather predictions quickly enough to make it possible to use them in forecasting. Bert returned to Stockholm to do his PhD in this area, as Sweden was building its first computer BESK, visiting Princeton again in preparation just before its completion. 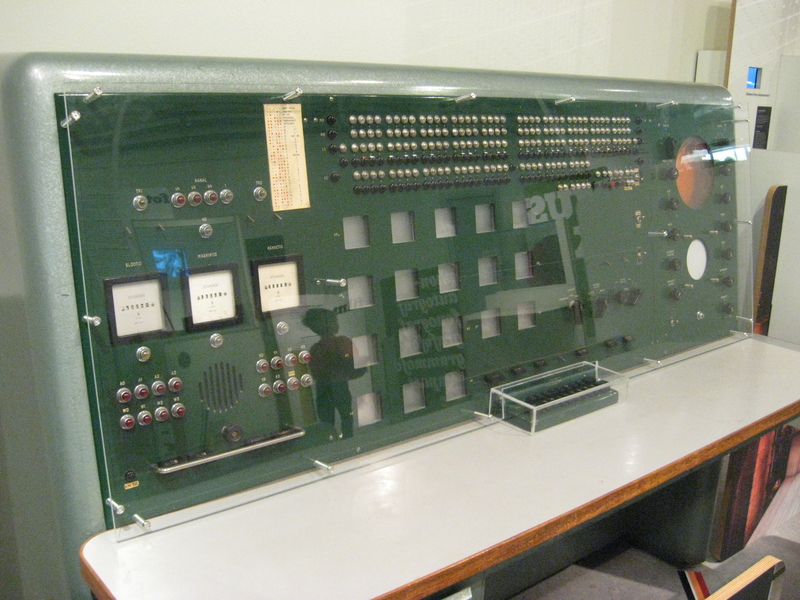 BESK, reputedly then the fastest computer in the world, ran the Swedes’ calculations during its first proper run on April 1, 1954. By June Carl-Gustaf reported making the world’s first real-time ‘operational’ forecasts, and planned to start producing regular 48-hour predictions. This boosted Carl-Gustaf’s fame, helping put him on the cover of Time magazine in 1956. But that fame came at a price – he was in high demand, with many responsibilities, and doctors were advising he should take a rest. After Bert completed his PhD in 1956, Carl-Gustaf left for a year to ‘slow down’ in the US. Bert was asked to stand in, and he accepted. “In retrospect, I do not think I really understood the magnitude of the task that was handed over to me,” Bert later wrote. Carl-Gustaf helped his protégé with 29 letters over the 8-month absence, 140 pages worth in total. But when a sudden heart attack ended their 10-year partnership shortly after his return, there would be no more help. Yet Carl-Gustaf’s influence did continue, as Bert went on to pursue the new research direction he had advised. In the US Carl-Gustaf had been interested in the role of chemicals like CO2 in the atmosphere, and recommended Bert work out how long they stayed in the air. And so in 1958, he looked at how CO2 was absorbed by the sea, estimating how much levels would increase by the year 2000 if emissions were not controlled. Though this was even before rises had been clearly shown, his 25% estimate agreed with even earlier predictions by Guy Callendar, and today we know both were surprisingly accurate. In May 1959, Bert reported this to the US National Academy of Sciences in Washington DC, and warned of the serious potential consequences for the temperature of the planet. To raise our understanding Bert demanded better CO2 measurements and in 1961 he invited Dave Keeling, who had been collecting improved data, to Stockholm. Together they calculated that CO2 concentrations were going up by 0.06 parts per million per month on average. And while Bert stayed on a family farm over the summer, he used his mathematical skill to work out complicated equations modelling where CO2 was coming from and going to by hand. Bert’s institute would later also back up Dave’s measurement work by sending up aeroplanes to collect CO2 samples. Also in 1961, the UN agreed to use satellites to monitor weather from space. But Bert’s forecasting colleagues realised that to use the data they would get, scientists would need to understand how air and the oceans circulate around the world much better. So the UN again backed international efforts to put this knowledge in place and by 1963 Bert was elected to the ‘bureau’ set up to organise the preparations. But his first efforts to get the scientists building instruments being fitted to satellites to move away from fundamental physics and towards these circulation problems failed. So, teaming with other like-minded researchers, Bert established the ‘Committee for Atmospheric Sciences’ within the International Council for Science, which would highlight meteorologists and climatologists’ needs. Asked to serve as chairman, Bert would use his own organisational talents and those inherited from Carl-Gustaf to set up international experiments that would take place in the 1970s. Known as the Global Atmospheric Research Programme (GARP), whose organising committee Bert again chaired, these experiments would provide the means to build general models of the atmosphere. And with the environment gradually reaching the political agenda, Bert was inevitably involved when the UN Conference on the Human Environment met in 1972 in Stockholm. Its major focus was air and water pollution, and Bert led a Swedish team in the first major assessment of what would eventually become known as ‘acid rain’. But the conference also noted that average temperatures in Earth’s northern half had increased a few tenths of a degree centigrade from 1900-1940, before falling again. “The question was asked if this was an expression of natural variation or if human emissions might also have been of importance,” Bert recalled. Answering that question, and fully revealing humanity’s role, would be the focus of the rest of his career and lead to the IPCC’s formation. This is the first blog entry of two on Bert Bolin’s contributions to climate science. Now read part two. Bert Bolin’s ‘A History of the Science and Politics of Climate Change’ includes his description of how he has fitted into the story. Kristine C Harper’s book ‘Weather by the Numbers: The Genesis of Modern Meteorology’ explores the race for the first real-time weather forecasts in great detail.